We are travelling to Phuket and staying at Karon Beach with our three children aged (2 x 12 years & 1 x 15 years) in September 2013. Can you please suggest the best sites for us to visit and see. Karon Beach is personally one of our favorite destinations in Phuket! Over the years we have enjoyed many family holidays with our Kids on Karon Beach, and I am sure you and your family will enjoy the area as much as we do. 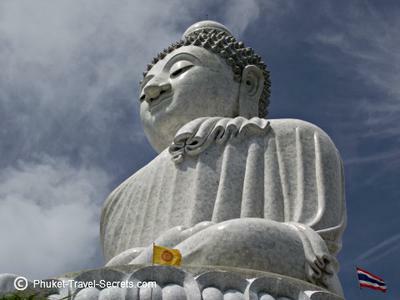 As Phuket is a major tourist destination there are many things to do that you and your family will enjoy. We love nothing more than getting out and about to explore the Island; some of the best attractions that are worth exploring include Big Buddha, a 45 metre tall white marble statue, Big Buddha itself is amazing but the views from up there are absolutely breathtaking. 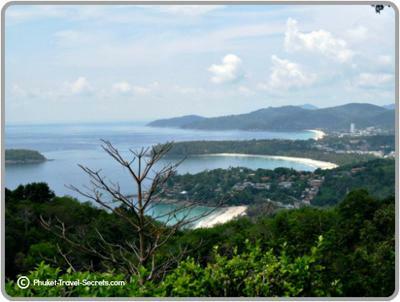 On our travels around the island we also like to stop off and take in the views, a couple of our favorite viewpoints are Karon / Kata Viewpoint and Promthep Cape; both these viewpoints are located close to Karon Beach. 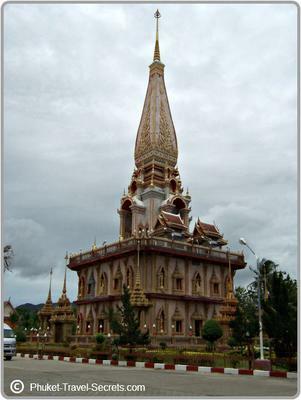 Wat Chalong is the largest and most visited temple in Phuket, if you visit Wat Chalong I would suggest that you go early in the morning or late in the afternoon. If you and your family want to learn about the history of Phuket we would suggest that you take a tour of Old Phuket Town with Chaya from Phuket Heritage Trails, you won’t be disappointed. If you have never been to Phuket before a must do is a daytrip to Phang Nga Bay, taking in the sights of Koh Pannyi, a floating sea gypsy village that is built on stilts above the water and James Bond Island. Our kids are older now, but I will never forget the first time we took them on a daytrip to Phang Nga Bay, they had a wonderful time the highlight of this trip for the kids was sea canoeing through sea caves. Unfortunately, what parents like to do while on holiday in Phuket, isn’t always what the kids want to do! To overcome this we would at times do a trade off with the kids. Some of the things our son and daughter loved to do while in Phuket include Go karting, there are two Go Kart tracks in Phuket. Zorb balling is always a great way to spend a few hours and we enjoy it just as much as the kids. If the kids are into adventurous activities they might like to have a look at XtremAventures and check out their treetop adventure course. Over recent years my son and husband have thoroughly enjoyed scuba diving in the waters just of Karon Beach with Phuket Scuba Club and can’t wait to return to do it all again. Another top spot that I need to add to our list of things to do is flow riding with Surf House Phuket which is located at Kata Beach. We personally haven’t had a go at this, but we did stop by and have a drink at the adjoining bar to check it out and it looks like lots of fun. No matter where we travelled when our kids were younger I would always encourage them to try the local food, but if possible I would also try to seek out where I could get them a good feed of Western food just in case the need arrived. At the far southern end of Karon Beach you will find a restaurant called Kata Villa, our son absolutely loves eating here and to be honest so do we. They serve a fantastic range of western meals including yummy hamburgers and chicken schnitzels. I am unsure if you are aware that during September the beaches on the west coast of Phuket including Karon Beach can be at times too dangerous to go swimming, if you see a red flag on the beach, please ensure that you and your kids don’t go in the water. You will still be able to enjoy the beach for sunbaking and massages and to watch the sunset, but to play it safe we recommend that you go for a swim in your hotel swimming pool. I hope this information is helpful and that you and your family have a wonderful holiday in Phuket.